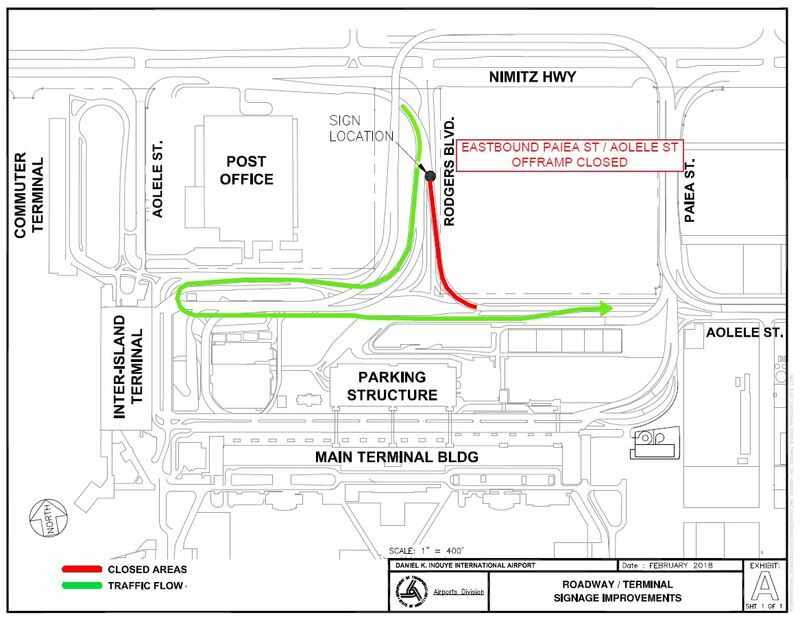 HONOLULU – The Hawaii Department of Transportation (HDOT) alerts Oahu motorists that closures will occur at the Daniel K. Inouye International Airport (HNL) on the Paiea Street/Aolele Street ramp from the eastbound H-1 Freeway Airport offramp (Exit 16) and Rodgers Boulevard in the northbound direction for the removal and replacement of the overhead sign structure. 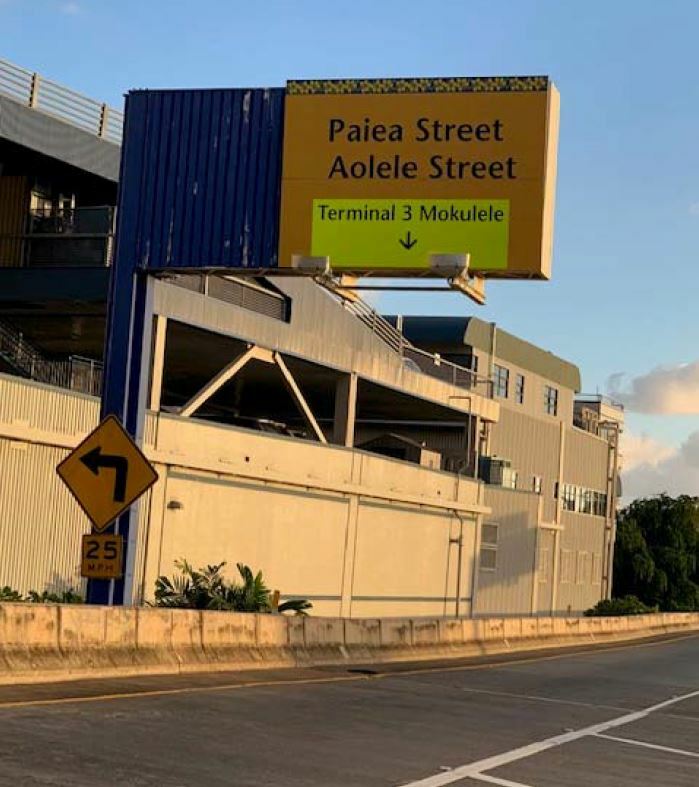 The ramp will be closed between the hours of 10:30 p.m. to 4 a.m. Traffic will be detoured to Aolele Street via the “Arrivals” ramp. See detour map here. The shoulder will be closed on the ramp from 8:30 p.m. to 4 a.m., nightly. The ramp will remain open. During construction hours, one lane will be closed on Rodgers Boulevard under the ramp in the northbound direction. HDOT urges motorists to drive with caution near the work zone and to allow for extra travel time to reach their destinations. Updates will be sent out via our Twitter (@DOTHawaii) and Facebook (@HawaiiDepartmentOfTransportation) pages and posted to the “Roadwork” section of HDOT’s website, which can be found here.